2005 Jeep Wrangler Rubicon SOLD!!! Home > > Vehicles > 117794 > 2005 Jeep Wrangler Rubicon SOLD!!! 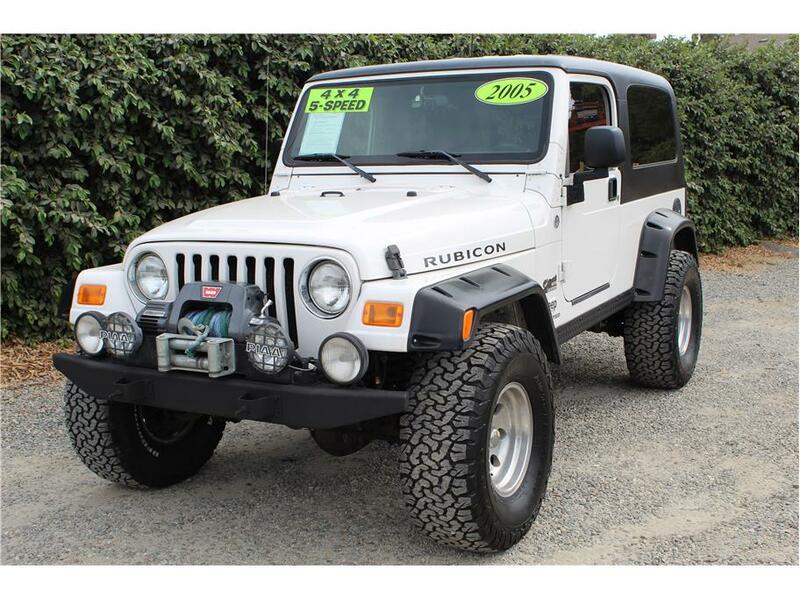 This 2005 Jeep Wrangler Unlimited Rubicon has the 6cyl 4.0L engine with a 6-speed manual transmission and only 117k! This hard to find clean LJ has awesome features like a Cb radio with a 4.5ft antenna, lockable center console, brand new head unit that allows for Bluetooth/ Aux connection for ease of use with your portable devices, cruise control, a factory hard top, with full hard doors, buchwacker pocket fenders, a 2.5 inch lift with new 33inch BFG KO2 A/T tires mounted on Eagle Alloy wheels, a CARB legal AirRaid intake, a Warn 9.5Ti winch and PIAA lights mounted on the front bumper, Rear Tire swing carrier and tinted windows! Our LJ just went through a full 151 point inspection by a licensed repair shop and had a fresh oil change completed after replacing the oil pan gasket and rear main seal, replaced the wiper blades and brand new Interstate Battery! This Jeep is a perfect weekend toy or looking for a point a to point b Jeep. It wont last in the condition and price that its set at, come by and test drive it today!